The team provides specialist support from locally based professionals, who have extensive knowledge and experience in successfully implementing strategies to effectively support teachers and other support staff, in meeting the needs of pupils who have English as an Additional language or are from the Gypsy Roma and Traveller communities. We will assess support and monitor progress of pupils who speak no English or are at early stages of language acquisition. We will assess support and monitor progress of Gypsy Roma Travellers (GRT). Support and provide guidance and training to all schools on anti-racism, faith, cultural and community integration issues. Home- school liaison and outreach support for English as an Additional Language (EAL), Ethnic Minority (EM), Refugee/Asylum pupils and GRT pupils. Mentor, advise and provide guidance to all staff on EAL, EM, Refugee/ Asylum seekers and GRT issues. Valuable support on issues such as anti-racism, faith, cultures and inclusion. We help you to deliver assemblies and organise ‘One World’ days, weeks and other multi- cultural projects. 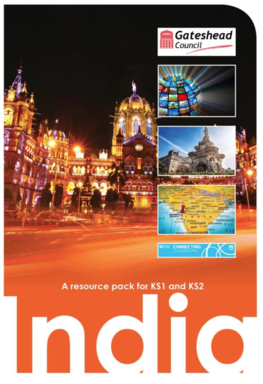 We have recently produced a set of teaching materials about India. The new resource comprises three powerpoint presentations, a teachers’ handbook and two pupil packs. All are designed to support KS1 and KS2 geography teaching. They can be downloaded for FREE here.